Fried Bee Hoon is Fried Rice Vermicelli in Hokkien. We usually called it Char Mee Hoon in Penang. Char means fried in Hokkien. It is a very simple and quick meal to prepare. My late mother used to make this for us when we were kids. She would prepare a very big portion that was enough to feed 10. My brothers would have double portions. I still miss the flavours of my childhood and this was my way of bringing back the memories. We usually to eat this with sambal belacan or cut red chillies in soy sauce and calamansi lime juice. I like to prepare this for a quick and simple weekend lunch. 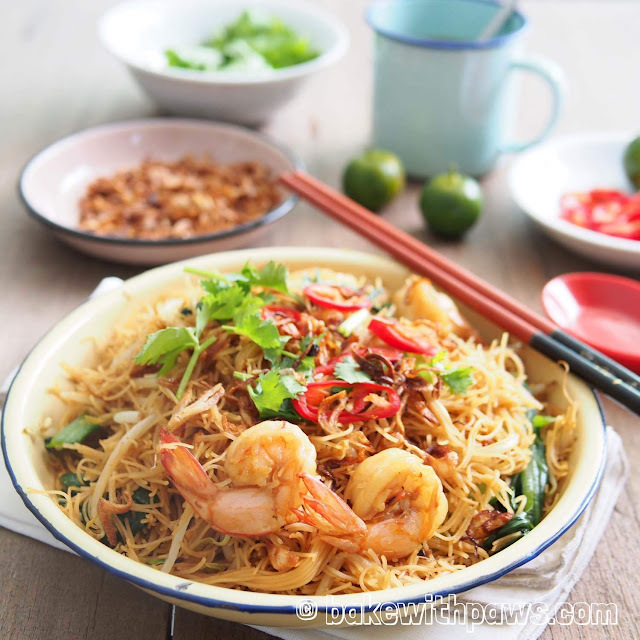 Highly recommended using prawns instead of meat as the prawns produce an umami flavour. Heat oil in a wok, fry shallots till golden brown and fragrant and crispy. Dish out the fried shallots and set aside. Using the remaining oil saute the garlic till fragrant. Next add the prawn, then bean sprouts and choy sum. Add 2 tablespoons of seasoning mixture. 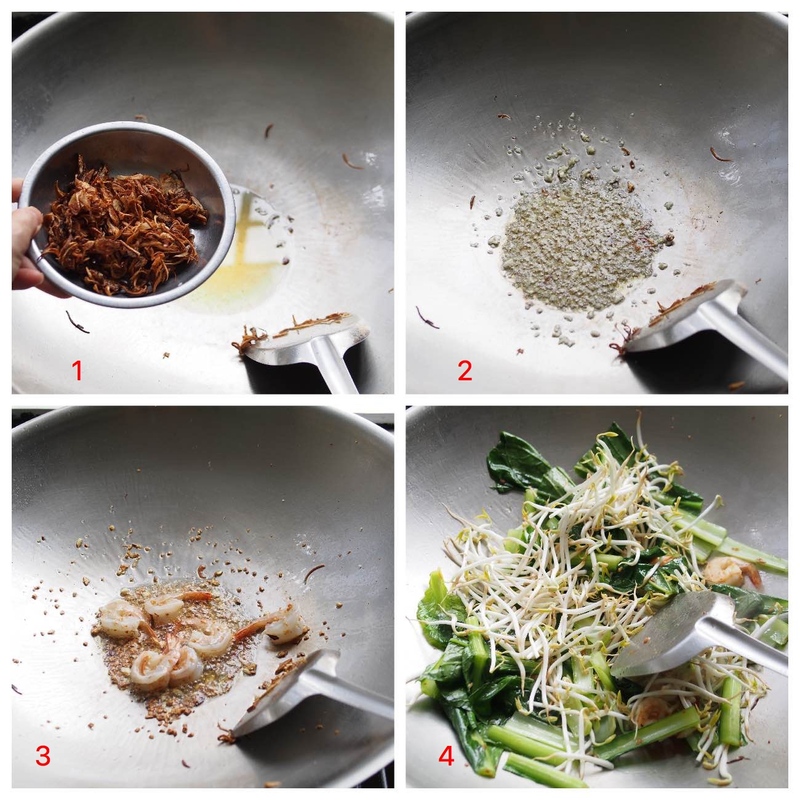 Toss in the vermicelli and add in more seasoning and some water, stir fry well. 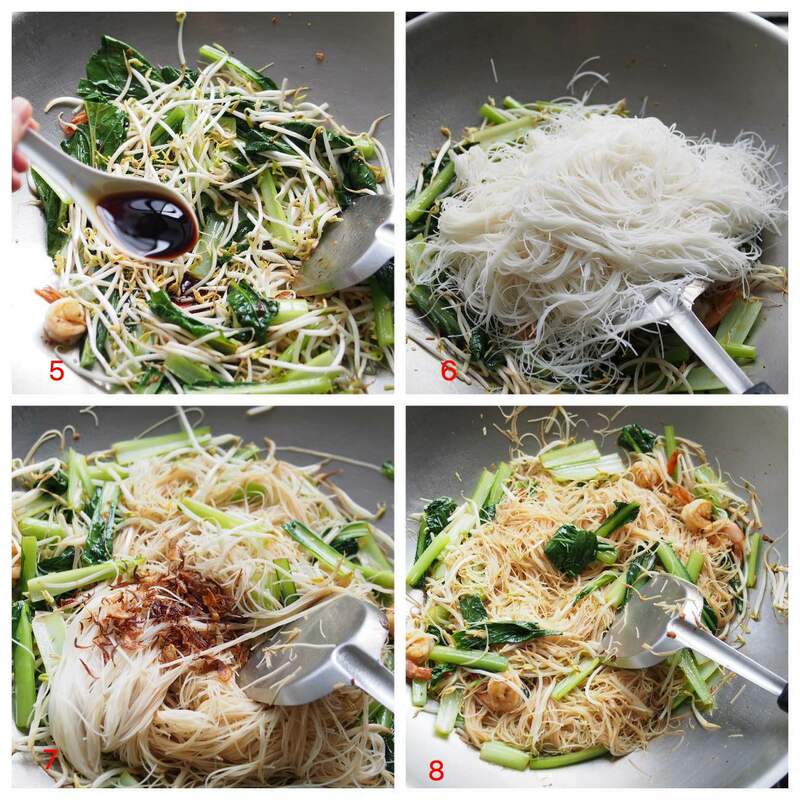 If bee hoon too dry, add in more water. Throw in the fried shallot. Taste and adjust accordingly. Fry until the noodles have soaked up all the liquids, and is of a dry consistency. This usually takes few minutes. 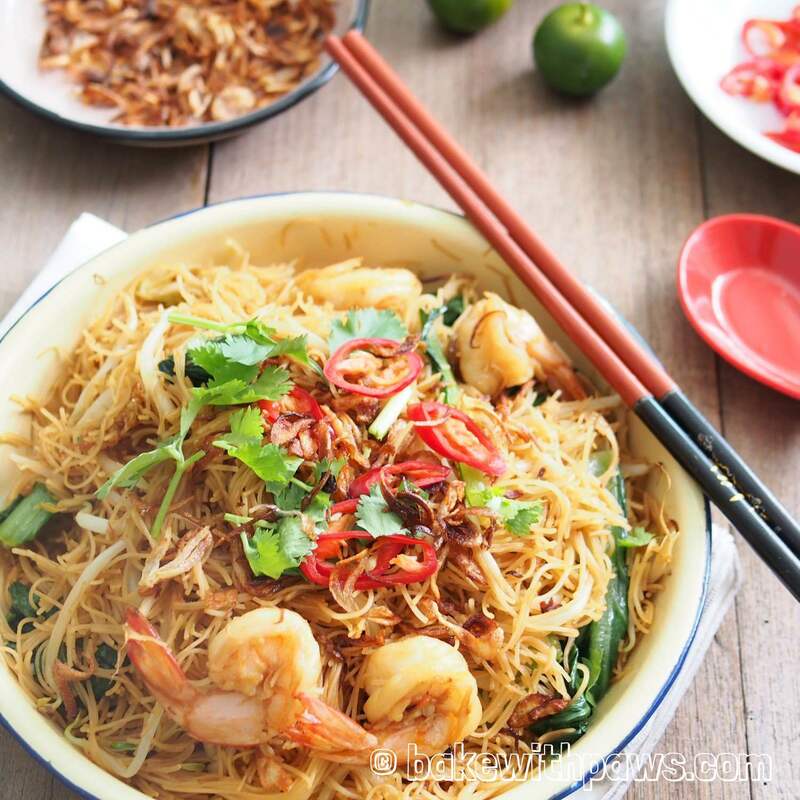 Serve with fresh cut red chilli in soya sauce and lime or sambal belacan.